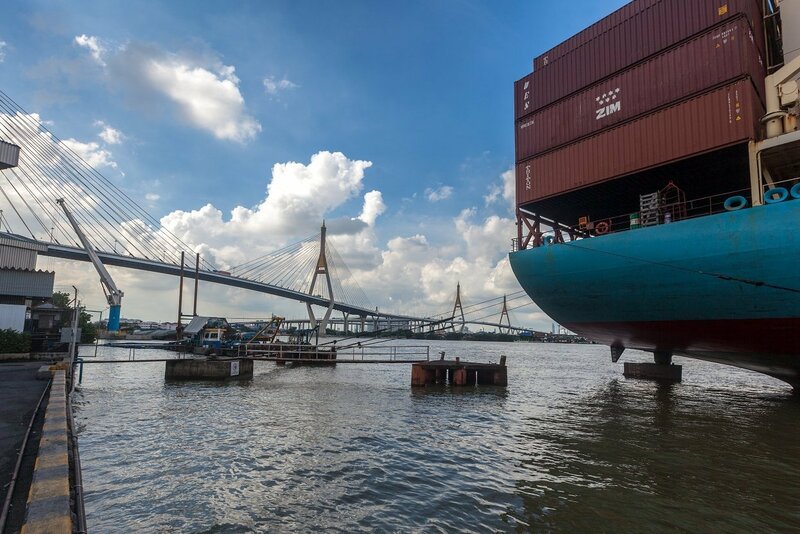 Sahathai Terminal Public Company Limited – (PORT), the leading river port operator in Thailand, is preparing to raise public funds in Thailand’s Market for Alternative Investment (MAI). Sahathai’s strengths lie in their extremely convenient location and always on services and solidity from strategic partnership with two major ocean liners. Sahathai Terminal is aiming to grow into a comprehensive logistics provider to support Thailand’s growing export volumes, and the Thai Government’s Eastern Economic Corridor (EEC) project. “In 2015, we partnered with Mitsui O.S.K. Lines (MOL) and jointly established Bangkok Barge Terminal Co. Ltd. (BBT). BBT provides coastal shipping services under international standards, and is fully equipped with modern technology and an experienced staff. The following year, we agreed to another partnership, this time with Mediterranean Shipping Company (MSC). “More recently, we also acquired an Inland Container Depot (ICD) license from Thai Customs, allowing us to provide customs clearance service directly for import and export cargo processed through Sahathai Terminal, a first for a river terminal in Thailand,” Ms. Karuchit added. Mr. Banchai Karuchit, Deputy Chief Executive Officer, Sahathai Terminal PCL, said that Sahathai Terminal has had solid financial growth with a total income of THB 1,080 million in 2016, an increase from THB 841 million in 2015 and THB 830 million in 2014. This growth comes from a major increase in container throughput and additional warehousing services. Sahathai Terminal’s net profit yield was THB 74 million in 2016, an increase from THB 25 million in 2015 and THB 36 million in 2014. Through the first half of this year, Sahathai Terminal has reported a total income of THB 644 million and a net profit of THB 11 million, compared to THB 480 million and THB 35 million from the same period in 2016. The reduction in net profit comes from the initial start of BBT, which just began operations late last year. However, after being granted an ICD license, the container throughput has been growing continually and the outlook is looking like strong continued growth in the future. Sahathai Terminal PCL has a registered capital of THB 230 million and Paid-up capital of THB 170 million. They are offering par value of shares at THB 0.50 and aiming to enter the MAI market soon. Opened in 2007, Sahathai Terminal spans over 168,000 square meters consisting of feeder, barge, and multi-purpose terminals, container maintenance and repair facility, on site customs clearance, warehouses, and inland transportation. Located on a strategic location surrounded by road networks and highways giving customers convenient ways to connect between Bangkok and other provinces. With full range of logistics services, modern equipment and expert personnel, Sahathai Terminal can serve all customer requirement. For more information, please e-mail [email protected] or call +66 (0) 2386 8000.